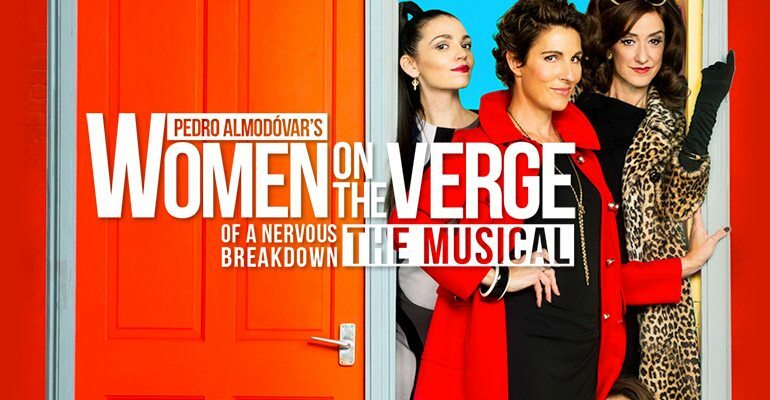 Green Wing star Tamsin Greig plays the lead in a musical version of Women on the Verge of a Nervous Breakdown this winter at the Playhouse Theatre London. David Yazbek and Jeffrey Lane have adapted the production from the Spanish director Pedro Almodovar’s Oscar-nominated 1988 film, and it proves to be just as quirky. The story focuses on Pepa, a voice actress living in Madrid in the late 1980s. She receives a confusing answer phone message in the middle of the night from her boyfriend Ivan, and she becomes concerned for his safety. Ivan is nowhere to be found and it's soon clear that he has left her for another woman. Pepa desperately tries to find him before he leaves the country, but the plot becomes ever more twisted as ex-wives, best friends and even taxi drivers try to help. But it turns out that Pepa isn’t the only one whose life is falling apart. This hilarious dark comedy previews on 20th December and officially opens on 12th January. Great show enjoyed it and laughed quite a few times. Shame it has to end soon. Tamsin was excellent. From a straight man! Fabulous entertainment, witty, cleverly choreographed, loved the music. Cast are superb. A really good show, go see it before it closes. Can't believe it's closing early - a really good evening. Fun, fiesty fiasco! Loved it all - thank you for such a fabulous show! Music just incredible - still singing Madrid in my head!! Thanks again! I enjoyed the Matinee Performance on the 25th April. We were taken on an emotional journey which included laughter and tears performed by a top quality cast. Would like to see this show again and I hope it continues. Surprising serendipity story. The cast were fantastic. And Tamsin Grieg can SING. Sorry - didn't understand the humour. And Ivan was miscast (or was that on purpose - ha ha) short and fat - a lover in Spain? i involved with 3 tall women. Ugh! The taxi driver would have been more credible. Music strange but Tamsin and co-stars were very professional but trying to put something across that just didn't work... not for me anyway. Ivan's ex-wife reminded me of Cherie Blair in the second half! First musical I have ever fallen asleep in. Poor show. Wonderful! Great toe-tapping songs, a very funny story, and a set that was so versatile! loved it! I bought tickets to celebrate a friend's birthday. Tamsin Greig was, of course, a huge draw. We were horrified when we arrived last night (3/2) to discover that three of the leads including Tamsin were indisposed. How wrong we were - the understudies were magnificent (all three) - beautiful voices - which I suspect might have been hard to beat - and just full of joie de vivre. So thank you and well done - hope you all get your own lead parts very soon - you deserve them! Great night. Tamsin Grieg and Haydn Gwynne were excellent as was most of the cast, although some parts were miscast and some vocals were very shrill. Overall we enjoyed the music. We thought the show was dated and did not reach the required and/or our standard for a west end production.